Bella Now Home with Brooke Virginia! Bella is Now Home with Brooke in Virginia. 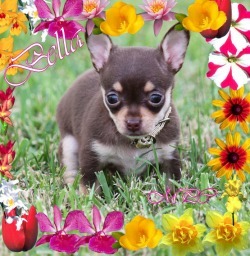 Brooke is so excited to have found her dream come true chihuahua puppy. Testimonial from Brooke coming soon. Armani/Prada Going Home to Denise Bankston in Massachusetts! Sold to a wonderful home in Massachusetts with Denise Bankston. He will be joining his sister Prada as well below. He will be leaving the beginning of August to his new home! 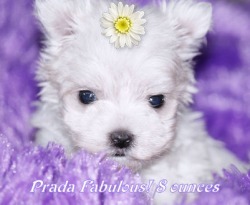 Prada/Armani Going Home to Denise Bankston in Massachusetts! Sold to a wonderful home in Massachusetts with Denise Bankston. 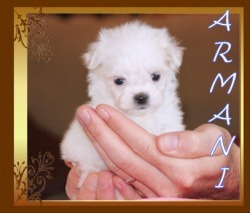 She will be joining her brother Armani as well. She will be leaving the beginning of August to her new home!